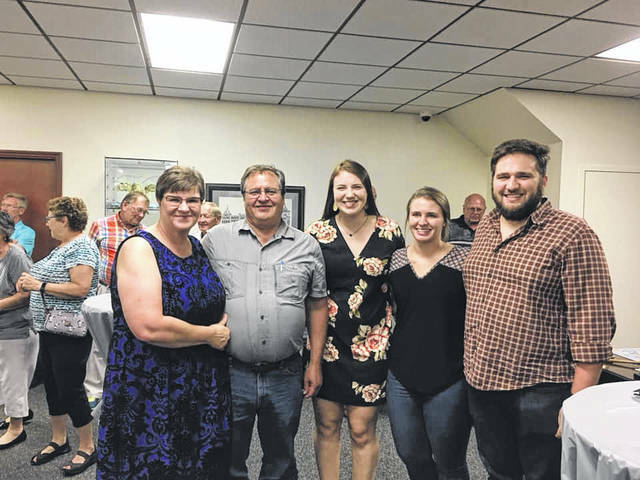 Courtesy of Heritage Ohio | Facebook Mainstreet Piqua Executive Director Lorna Swisher, left, celebrates the 25th anniversary of Mainstreet Piqua with her family during a celebration dinner on Tuesday evening. 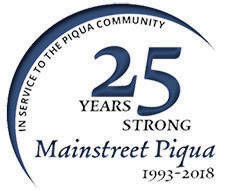 PIQUA — Mainstreet Piqua is celebrating 25 years of serving the Piqua community through their downtown revitalization efforts, community-centered events, economic development efforts, and more. 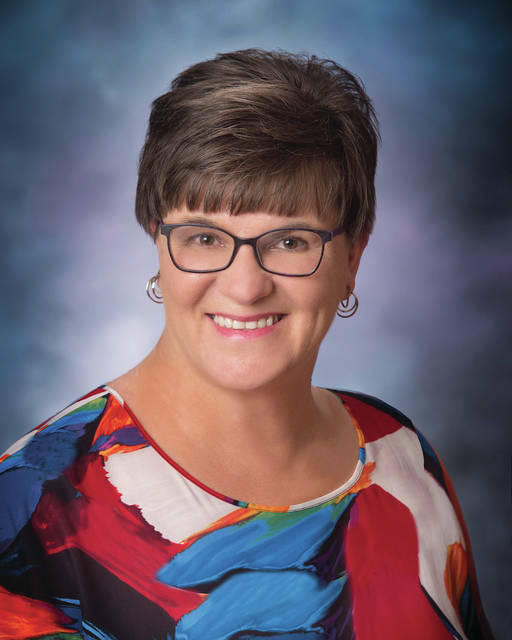 “It’s a testament to the community that we’ve had continued growth and success (over 25 years),” Mainstreet Piqua Executive Director Lorna Swisher said of the organization’s milestone. Swisher has also been with Mainstreet for over 20 years after being hired as the executive director in 1997. Swisher said that redeveloping a downtown is a commitment made by the entire community. “We’re all in this together,” Swisher said. Mainstreet Piqua held a dinner on Tuesday evening celebrating the milestone with donors, members, and other contributors and supporters. “It was very gratifying that we have such broad support,” Swisher said. Mainstreet Piqua is also an Ohio Mainstreet program, Swisher said. In addition, Mainstreet Piqua is a certified a National Main Street Program. By interacting with other communities throughout the state that are also trying to revitalize their downtown areas, they are able to share ideas and continue to grow. “By working with everyone, we’re able to be a stronger program,” Swisher said. As part of their mission, Mainstreet Piqua “organizes community efforts to create an attractive, viable downtown environment, and promotes the downtown’s unique historical assets using the National Main Street Center’s Four Point Approach: Organization, Design, Promotion and Economic Development,” according to their website. “We get tremendous support for the beautification program,” Swisher said. The beautification program includes a new mural on the 100 block of East High Street in the downtown, along with the planters throughout the downtown. “We know that people really love to drive downtown,” Swisher said. Mainstreet Piqua also hosts a number of events year-round in downtown Piqua, including the weekly Piqua Community Farmers Market in the summer months, the Downtown Piqua Chocolate Walk coming in October, the Rock Piqua! Concert Series, the Taste of the Arts, Christmas on the Green, the Holiday Horse Parade, and more. Swisher also said that Mainstreet Piqua enjoys working with the downtown businesses and property owners on a number of these events and other projects. Mainstreet Piqua also partners with other organizations to help other events that promote the downtown, such as with the Piqua Public Library for the Historic Walking Tours and the Awesome Piqua chapter of the Awesome Foundation with their Farm to Table Dinner. “All of that is supported through an amazing group of volunteers,” Swisher said. There are a number of volunteer opportunities within the Mainstreet Piqua organization. For more information, call Mainstreet Piqua at (937) 773-9355, or email at info@mainstreetpiqua.com. https://www.dailycall.com/wp-content/uploads/sites/30/2018/09/web1_Mainstreet-Piqua-Lorna-Swisher-and-family-Heritage-Ohio-facebook-cmyk-1.jpgCourtesy of Heritage Ohio | Facebook Mainstreet Piqua Executive Director Lorna Swisher, left, celebrates the 25th anniversary of Mainstreet Piqua with her family during a celebration dinner on Tuesday evening.